Pay Valet parking is available at our front door on the corner of Muhammad Ali Blvd. and 4th Street. Pay surface lot parking is available on the corner of Third Street and Muhammad Ali one block east of our location. Eddie Merlot"s talented culinary team and our expert service staff are dedicated to providing you and your guests with a truly memorable dining experience. 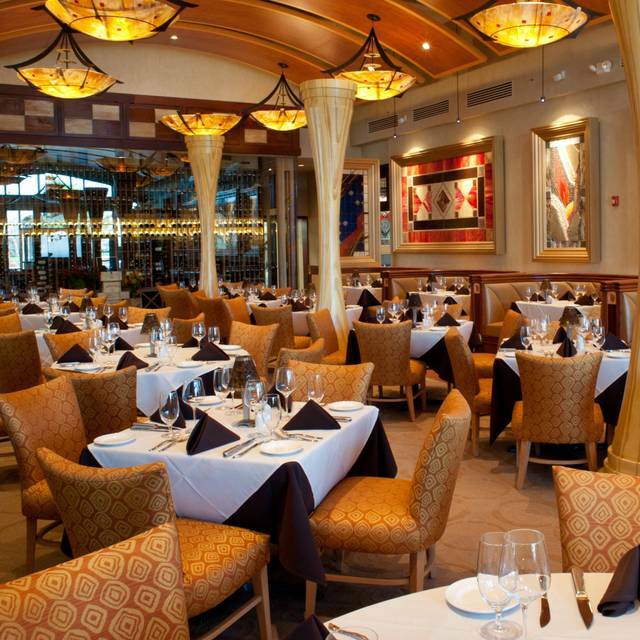 It is their goal to provide a fine dining steak house with emphasis on serving the finest U.S.D.A. Prime Aged Beef and Seafood. Side dishes are served family style and are large enough to serve two if desired. Eddie Merlot's boasts a contemporary but stunningly elegant interior design and atmosphere—where guests can have fun, relax and enjoy listening to up-tempo music, while dressed in business or casual attire. There are several private rooms and semi-private areas to choose from according to your needs from 10 people to 300. Eddie Merlot's Sales Manager will assist you plan a function that will leave your guests knowing who is the best host in town, you! Eddie Merlot"s Prime-aged Beef and Seafood starts with U.S.D.A. Prime Beef and the freshest seafood. Eddie Merlot's has created one of the hottest concepts today; the wine bar provides more than 70 wines by the glass and a very extensive reserve wine collection by the bottle. The bar is stocked with all of the finest spirits and after dinner cordials and Cognacs. Eddie Merlot's boasts a contemporary but stunningly elegant interior design and atmosphere—where guests can have fun, relax and enjoy listening to up-tempo music, while dressed in business or casual attire, also live music on weekends in the lounge. Excellent steaks and salmon, excellent service. Desserts are great, we could have shared the carrot cake with all four of us. Excellent dinner and outstanding service!! Great crab cakes as well as aged beef! I was pleasantly surprised with the ability to carry on a good conversation at dinner. This is one of the best steak houses in Louisville Kentucky and it was surprisingly easy to communicate because the noise level was so calm. 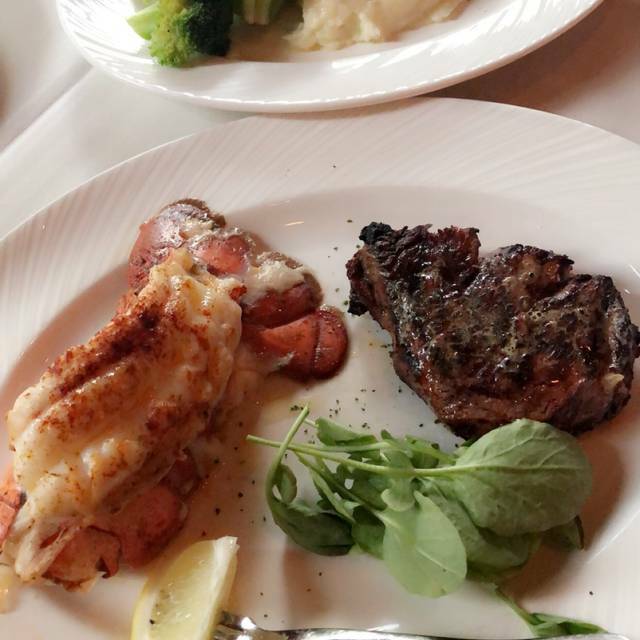 I personally enjoyed the buffalo bone in ribeye and they offer an excellent selection of appetizers including oysters and bacon wrapped shrimp. They have a giant wine selection and without question this is a nice restaurant when you were visiting downtown. I would recommend it to everybody. Food was good, service was efficient albeit not very warm. Calamari was all breading and little meat. They always try to pour wine faster than you can drink it hoping that you will buy a 2nd bottle. That strategy never works with me. All in all, a pleasant experience that could have been better with a better server. Our bartender/waiter was outstanding! He was very knowledgeable and friendly. His suggestions regarding food and drinks were right on! The food was absolutely scrumptious. Hope to return again. Fantastic service with Preston. Food was amazing, the Wagyu filet was perfection. Bananas Foster table side finished the night. Will definitely return. Excellent service and food. Great place for a drink and dinner. Will recommend and return when in Louisville. Eddie Merlot's is my favorite steakhouse. The Louisville location was consistent with the meals I've eaten in the Chicago area sites. Good food with good service. Bonifacio and Alex, our servers, did an amazing job making my parents feel special on their birthday! Overall the food was exceptional and the whole experience made for a memorable occasion. I would highly recommend Eddie Merlots. The staff was nice, the atmosphere was great, but I've had better steak. Amazing experience as always highly recommend. Went on a Friday night because I received an offer in the mail. It was not crowded and only moderate noise level, so was nice for quiet conversation. Seated and was prompted greeted by Preston, our server. We took a few minutes to decide on a nice wine, and he served it very professionally. We opted for an onion soup for starters that was one of the best I had ever had. Split a spinach salad with a delightful hot bacon dressing. I had a Waygu filet that was oh, so tender and cooked to perfection. The portion was perfect. Even though we were quite satisfied, we splurged on a dessert - cinnamon a la mode with was enough for four people. Preston was spot-on all evening and the experience was delightful. Total bill was $261 before tip - a bit on the high side, but good value considering all factors. Everything was good. Just not over the top fantastic. Decor was dated. Service was great. Bread was great. In Louisville for a business trip. Great food and service. Grace is an amazing server. She knew everything about the menu and helped make our wine and food selections easy choices! Highly recommend! Luke was great! 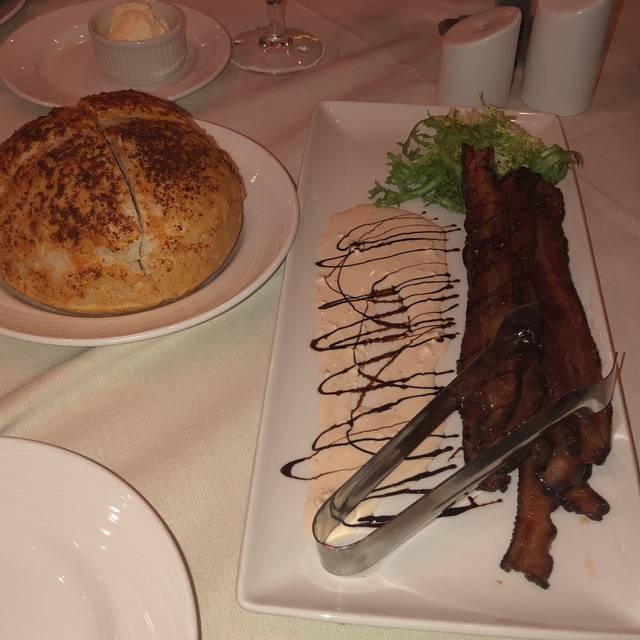 We enjoyed our first visit to Eddie Merlot's and plan to return. The food was awesome and the service phenomenal. Team work at it's best. Bourbon Steak, salad and sides were exceptionally delicious. The chocolate cake desert was disappointing. 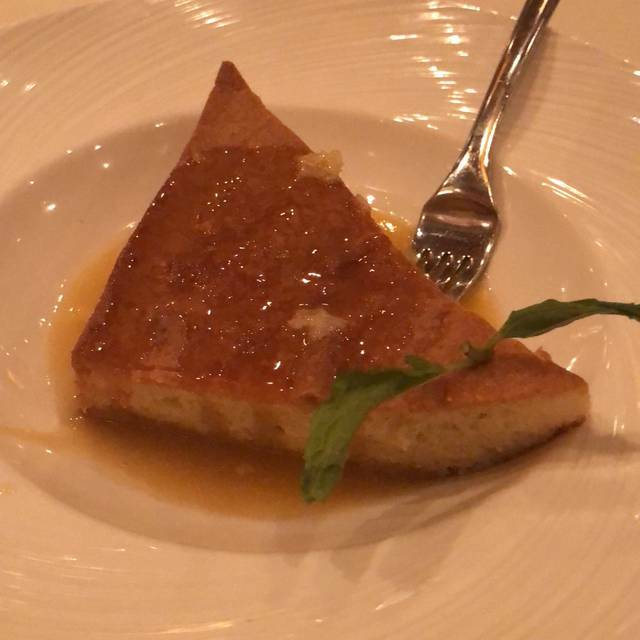 I would definitely eat there again but leave out desert. My filet mignon was supposed to be med well and was burnt. My girlfriends New York strip was supposed to be well done and is was less than med cooked and blood on her plate. All I tasted was burnt taste on my steak. Not even close to as good as it was last time we ate there. Food was wonderful, staff was very attentive, great atmosphere! Second time here - steaks are incredible! The atmosphere incredible! Service spectacular! Excellent all the way around. They are my go to place for great dining. We received a postcard advertising a king crab leg special. The waiter said they weren't split like the regular priced ones and were of "lesser quality." He said that more than once when we ordered them. When we had drinks my wife got a sliver of glass in her mouth from the glass. We could see the rim was chipped. The waiter said he would replace the drink and have a manager come over. The drink was replaced but we never saw the promised manager. And then when we got the check even though we had the advertised special crab legs (not split and of "lesser quality") we were charged the regular price and I had to have the check refigured. Excellent meal and service. Thomas, our waiter, was spot on in anticipating our needs and timing the food delivery. Everything was great! Awesome place to celebrate a birthday or just have a great meal. 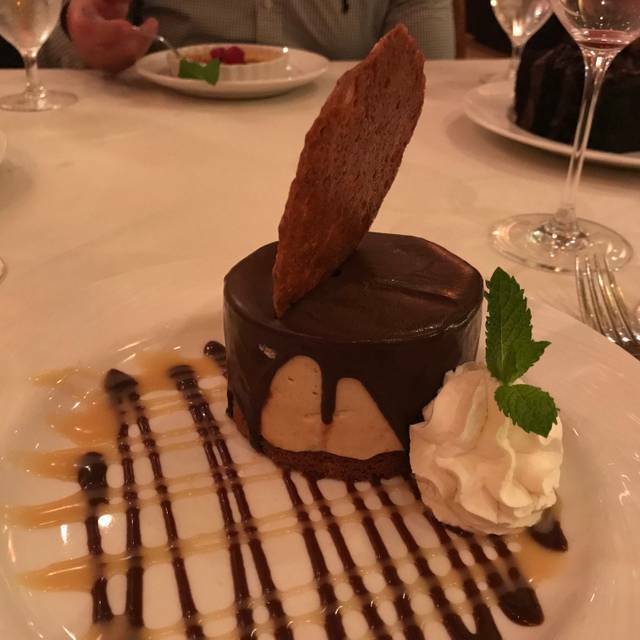 The service was exceptional and the food was great! The restaurant’s ambiance is unmatched. I loved it and can’t wait to go back to Louisville to dine here again! The waiter even gave us complimentary birthday desserts! The meal was a huge disappointment. The "all you can eat" crab legs were of very poor quality, and I've had better at a $12.00 Chines buffet. While my wife's steak was not bad, it did not "wow" her as we would have expected from a high-end steakhouse. Our brussels sprouts were probably the worst I've ever had...they were not trimmed as they should have been and were overall very tough to eat. We were very disappointed with our dinning experience. It was my birthday, my table had a birthday card for me from them. Server was outstanding. Food was amazing. Great atmosphere. service was excellent and when we told our waiter that our steaks were cooked as we ordered, they took them away and brought new steaks which were excellent. Steak was really good, sides were average at best, and the service was amateur. Service was slow and when the server was there he was just odd. that's all I can say. The presentation came across as theatre and it was cheesy. One steak came out wrong and then came out again barely with any marks on it. It was extremely undercooked. Also had to ask for water and pour my own wine. My wife and I asked for to go bags as we had only eaten half of our meals. They never came. At $100 per head, I would be hard pressed to ever go back or recommend. 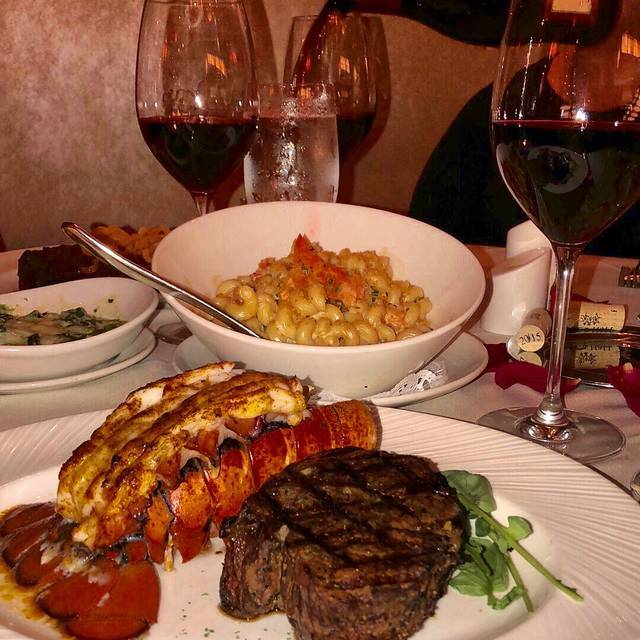 There are several other high end steak house options in Louisville that execute better. The service and quality has gone way downhill. From what used to be our favorite place....after the 4th time of lackluster food and meh service, we will probably not be bad. From issues with our table, a horrible smell as a server was cleaning with a dirty broom around our table, seafood at a just ok level and issues with our bill. Very disappointed again. This location is not special any longer. We have been here several times and always enjoyed an excellent meal. Our party of 5 came specifically last Friday to celebrate a birthday and enjoy the Friday night seafood specials they advertise during lent. 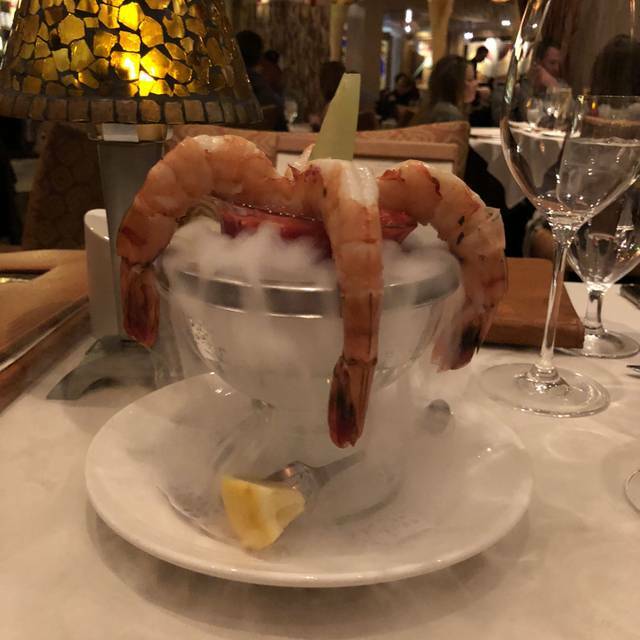 The service was outstanding, the appetizers excellent, the steaks sublime but the crab leg main courses were not up to the usual standards of this restaurant. 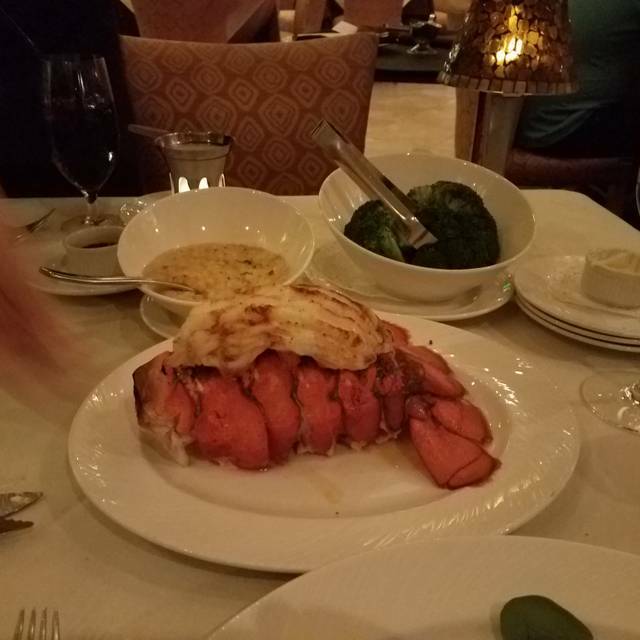 2 of us ordered the king crab 1 1b main course specials and parts of each were only luke warm while some of my daughter's were even cool. One serving seemed quite a bit larger then the other to the point that others at our table questioned whether the smaller one was actually the 1/2 lb add on my son ordered in addition to his steak. We were assured by our server that these were equal but our entire table had eyebrows raised. 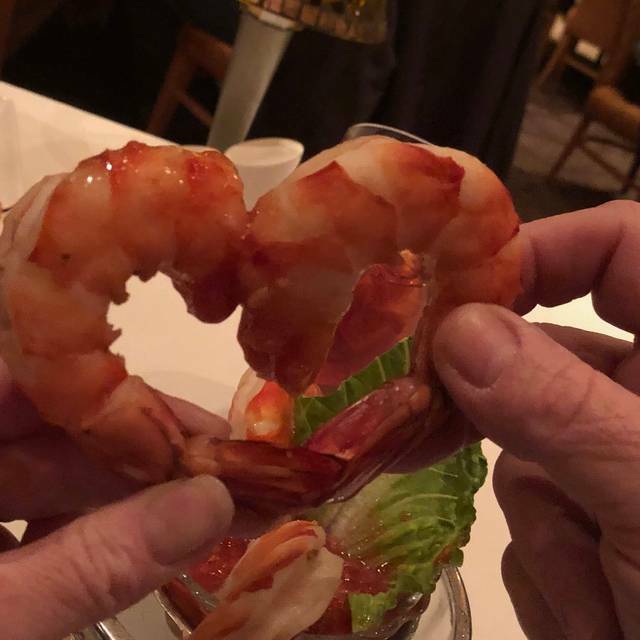 Topping this off was the seemingly petty practice of splitting the legs of the add on order for easy removal of the crab meat but not the special main course orders. Really? Because we ordered the special we had to work for ours? Eddie Merlot's you can and should do better than this.